Seo córas iontach a thosaigh mé i mbliana an léitheoireacht a chur chun cinn. Thosaigh mé leis i ndiadh cúrsa samhraidh a dhéanamh a bhí bunaithe air. Caithfidh mé a rá go raibh na páistí an-thógtha leis agus níl dabht ar bith gur chabhraigh sé ó thaobh fonn léitheoireachta a chruthú de. Is i gcás an Bhéarla a rinne mé i mbliana é (bhí na hacmhainní i mBéarla sa phacáiste a tháinig leis an gcúrsa agus ní raibh mé ag iarraidh tabhairt faoin aistriúchán roimh é a thríáil) ach toisc go raibh sé chomh iontach sin, tá mé cinnte chun é a dhéanamh sa Ghaeilge chomh maith an bhliain seo chugainn. 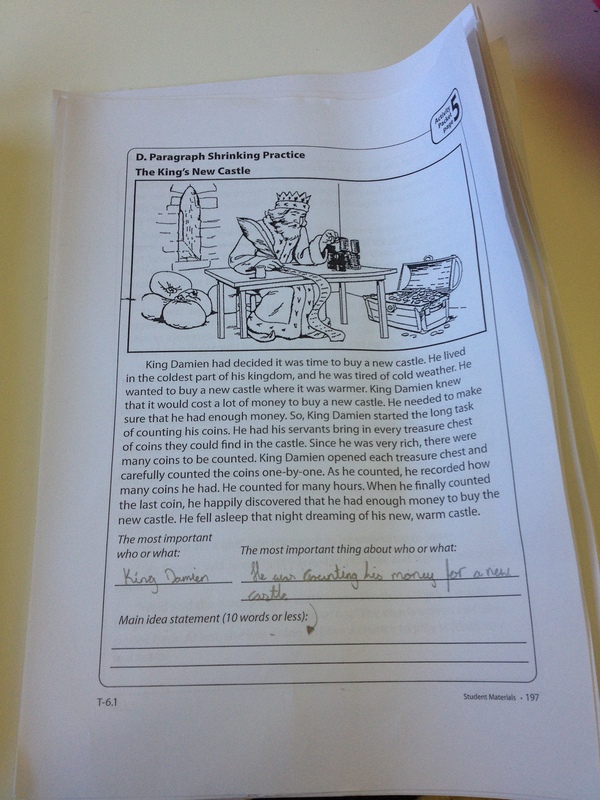 This is an excellent system that I began using this year to develop reading. I began using it after completing a summer course based on it last summer. 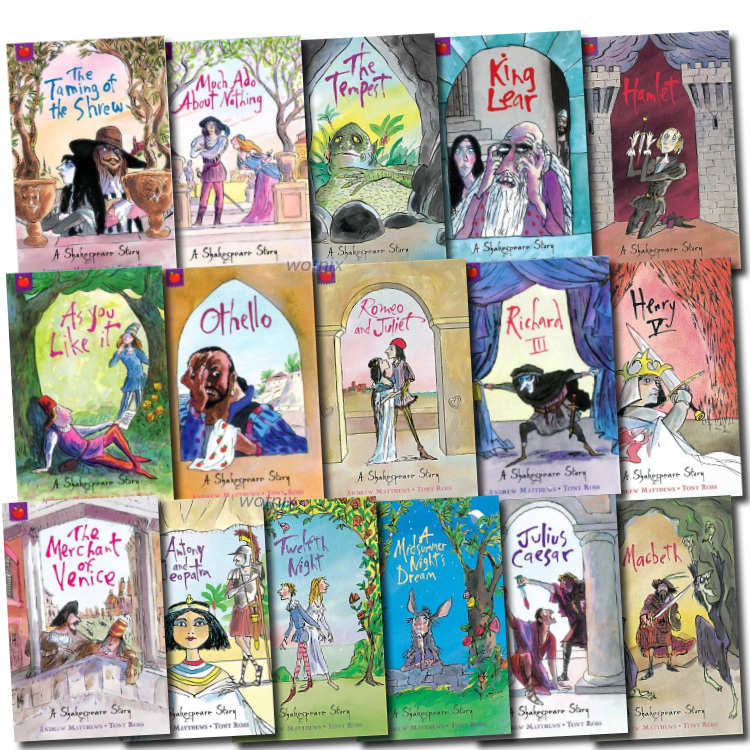 I have to say that the children are very much on board with it and I have no doubt that it has helped to create and promote a desire to read. I’ve used it for English reading this year (the resources required came in English with the course package and I was reluctant to undertake the translation before trying it first). However, as it has been so worthwhile, I will definitely be using this in Irish also next year. Bhuel, céard é? Is córás léitheoireachta é in mbíonn leabhar idir gach beirt sa rang agus go mbíonn siad á léamh le chéile. Bíonn siad ag obair i mbeirteanna atá ar an leibhéal léitheoireachta céanna. Fad is atá duine amháin ag léamh os ard bíonn an duine eile ag leanúint an téacs agus ag cabhrú leo aon botúin a cheartú (Glaonn an córas ‘Check it’ ar seo), achoimre a dhéanamh (‘Retell’), an t-eolas is tábhachtaí a phiocadh amach i ndiadh gach dara h-alt (‘Paragraph Shrinking ), agus conas tuartha a dhéanamh maidir leis an scéal (‘Prediction Relay’). Tá ceachtanna ag tús na scéime ina mhúintear conas na scileanna seo a úsáid agus tá script ann dóibh le leanúint ionas go mbíonn siad á cheartú a chéile i mbealach atá oiriúnach. So, what is it? 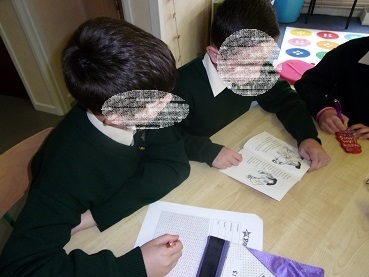 It’s a reading system in which the children work in pairs and each pair reads a book together. 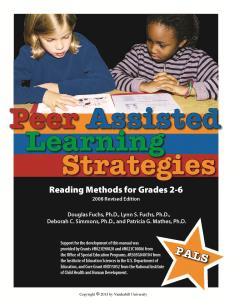 They work with another student who is at a similar reading level to themselves. 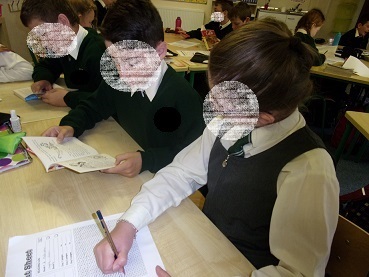 While one is reading aloud, the other is following the text and helping them to correct reading errors (This is called ‘Check it’), to summarise (‘Retell’), to extract the important information (‘Paragraph Shrinking’) and to make predictions (‘Prediction Relay’). There are lessons at the beginning of the process which teach how to use these skills and there is a script that they use so that correcting each other happens in a helpful, and suitable, way. Tá córas pointí ann chomh maith atá éasca le n-úsáid agus atá go hiontach chun suim na bpáistí a choinneáil. Athríonn siad idir léitheoir agus ceannaire gach 5 nóiméad agus mar sin d’fhéadfadh an ceacht a bheith chomh fada nó chomh gearr is atá uait ar an lá. Molann siad é a chleachtadh trí uair sa seachtain ach shíl mé go raibh sin mí-réalaíoch amach is amach. An rud a rinne mé ná gur chaith mé thart ar seachtain go leith ag tús na bliana á dhéanamh gach lá chun na scileanna agus próiséis éagsúla a mhúineadh agus i ndiadh sin bhí sé á dhéanamh uair amháin sa seachtain againn, ar feadh 20 / 30 nóiméad. There is also a points system which is easy to use and is an excellent tool for keeping all of the children interested and engaged. They alternate from ‘Reader’ to ‘Coach’ and back again every five minutes and this means that the lesson can be either as long or as short as you need on any given day. The course directors advice using PALS three times per week but I thought this was unrealistic in the modern classroom. What I did was, I spent a week and a half at the beginning of the year where we had PALS every day in order for the children to learn the skills and the processes they needed. After that, we began doing PALS once a week, usually for either 30 or 40 minutes. Fuair mé na hacmhainní uilig ó lámhleabhar an mhúinteoir a bhí curtha amach sa phost roimh an chúrsa samhraidh a dhéanamh ar líne. Rinne mé pacáistí do na daltaí ansin. Bíonn siad i gcónaí san áit céanna sa seomra ranga – agus liosta na mbeirteanna ar an mballa in aice leo. I ngach pacáiste tá leabhar léitheoireachta, bileog na bpointí agus na treoracha atá de dhíth. Tá na rialacha agus na treoracha ar an mballa agam chomh maith. I got all of the pictured resources in the teachers manuals which is sent in the post before the online summer course begins. I then made PALS packages for the students. 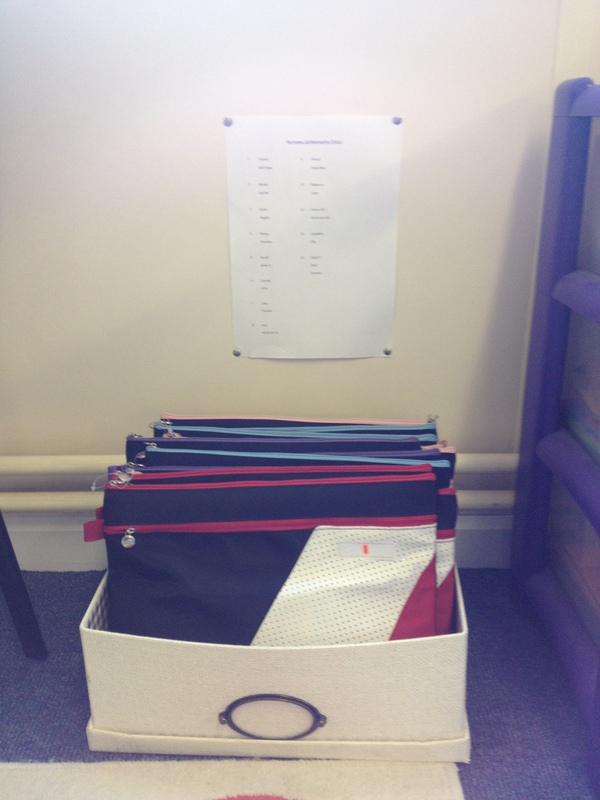 They are always kept in the same spot in our classroom – with the lists of reading partners on the wall next to them. 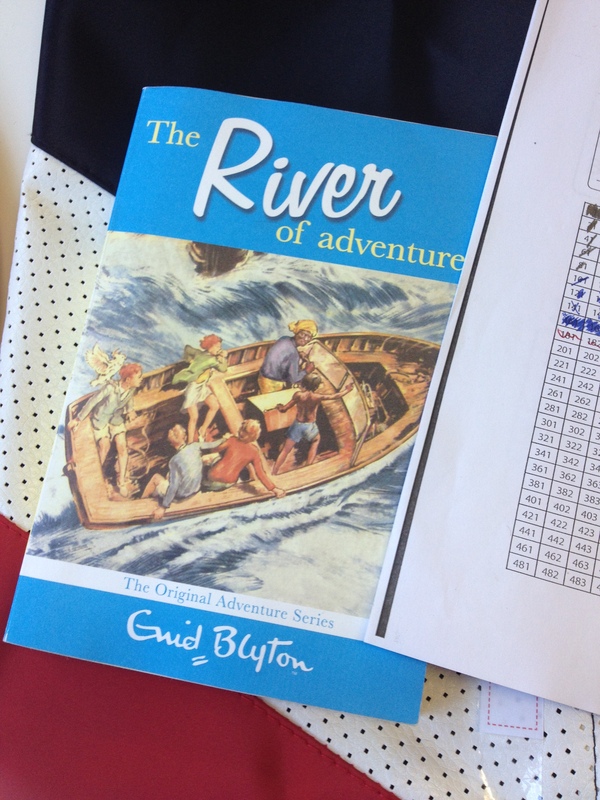 Each package contains a book, a points sheet and all of the instructions that they require. 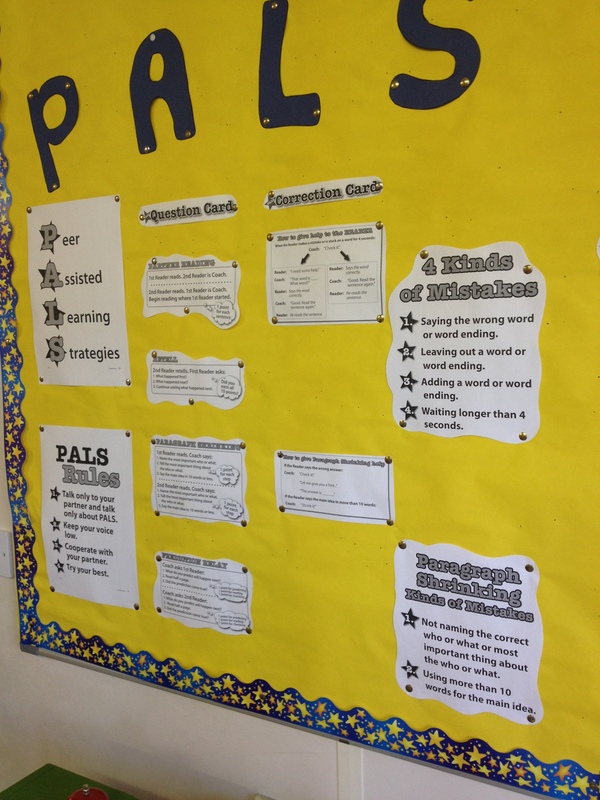 The rules and the instructions are also on the classroom wall. Baineann siad uilig an-taitneamh as an am seo gach seachtain agus bíonn siad ag súil leis. Toisc go bhfuil siad ag obair le duine éigean atá ar aon leibhéal léitheoireachta leo féin, ní bhíonn éinne ag mothú faoi bhrú agus is féidir leo uilig sult a bhaint as an léitheoireacht. Ní bhíonn orm riamh éinne a cheartú nuair atá PALS ar siúl. Seo cuid acu agus iad ag tabhairt faoi. They all really enjoy an look forward to this time each week. 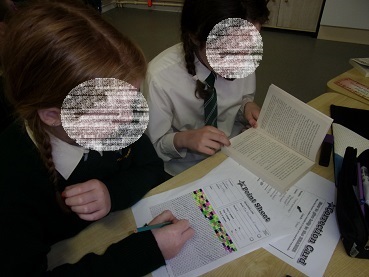 Because they work with with a partner who is at a similar reading level as themselves, nobody feels under pressure and everybody can really enjoy the reading. I never have to correct any of my students while PALS is happening. 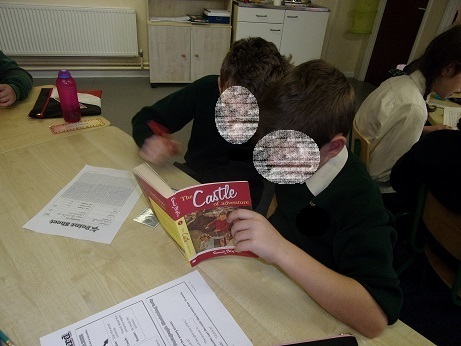 Here are a few of them engaged in this peer-assisted reading. 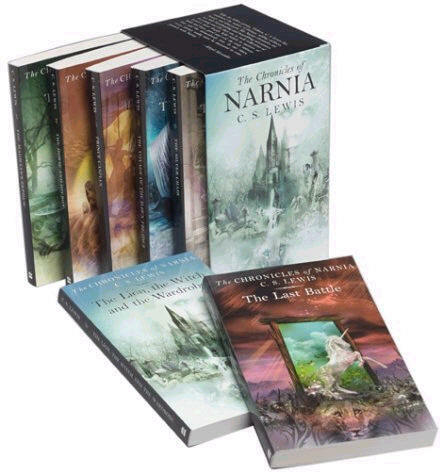 I mbliana léigh siad an tsraith leabhar eachtrúil a scríobh Enid Blyton, Shakespeare for Children agus The Chronicles of Narnia le C.S. Lewis. 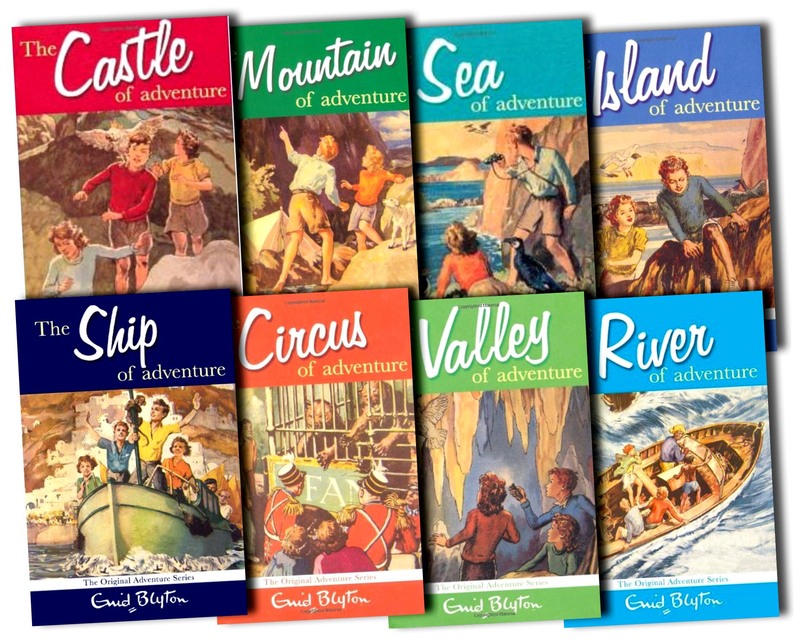 This year they’ve read Enid Blyton’s Adventure Series, Shakespeare for Children and The Chronicles of Narnia by C.S. Lewis. Má tá suim ag éinne sa chúrsa, feicim go bhfuil sé á chur ar fáil arís i mbliana ag CPD College. Is cúrsa ar line é agus tá tuilleadh eolais ar fáil anseo. Tá sé tábhactach le rá nach bhfuil baint ar bith agam le CPD College. Ní hea ach go raibh an cúrsa déanta agam féin anuraidh agus gur bhain mé an-úsáid as. Ní ach mo thuairim pearsanta atá sa trácht bhlaga seo. If any of you have any of interest in the course, I see that it is available again this year with CPD College. It’s an online course and you can get more information here. It is important that I mention that I have no affiliation with CPD College. I simply took the course myself last year and found it beneficial. This blog post is simply my own personal opinion.